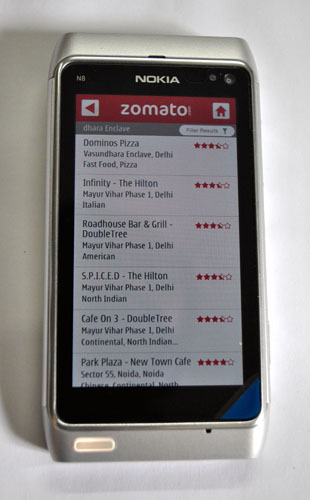 Zomato, for those of you who are unaware, is a restaurant directory portal in India. It currently serves ten major cities in India including Mumbai, Delhi NCR, Kolkata, Bangalore, Pune, Chennai, Hyderabad, Ahmedabad, Jaipur & Chandigarh. The website currently lists over 10,000 restaurants and featured menus for restaurants listed on the website. 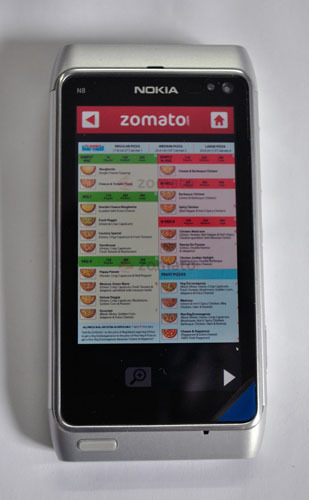 Now they have a Symbian^3 app for all you food lovers. 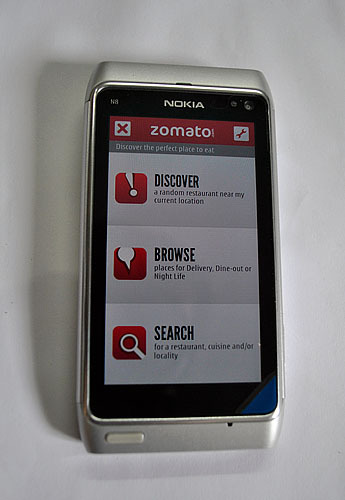 The app has a very easy to use interface and it allows you to search for places to eat. 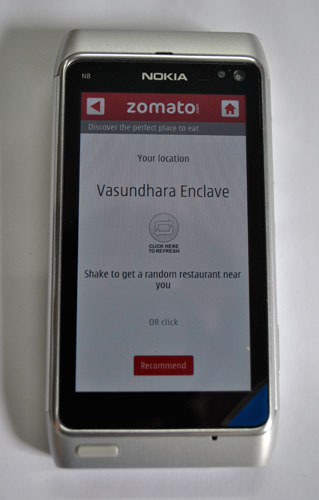 You can either search by name, zone, locality, cuisine or just a random recommendation by the app. It provides apt info about all the major eateries and restaurants and also provides you with the location on a small map, address, phone numbers and even the menu of the place (now you can decide what you want to eat before you get to the place). The app not only connects through a data connection, but also uses handset’s GPS connection so that it can find your current location and then provide you with a list of eateries around your location. A strong recommendation for foodies and even for people who love grabbing a bite or two on the go. You can download the app for your Nokia devices over here. Is HTC Bliss launching this month?